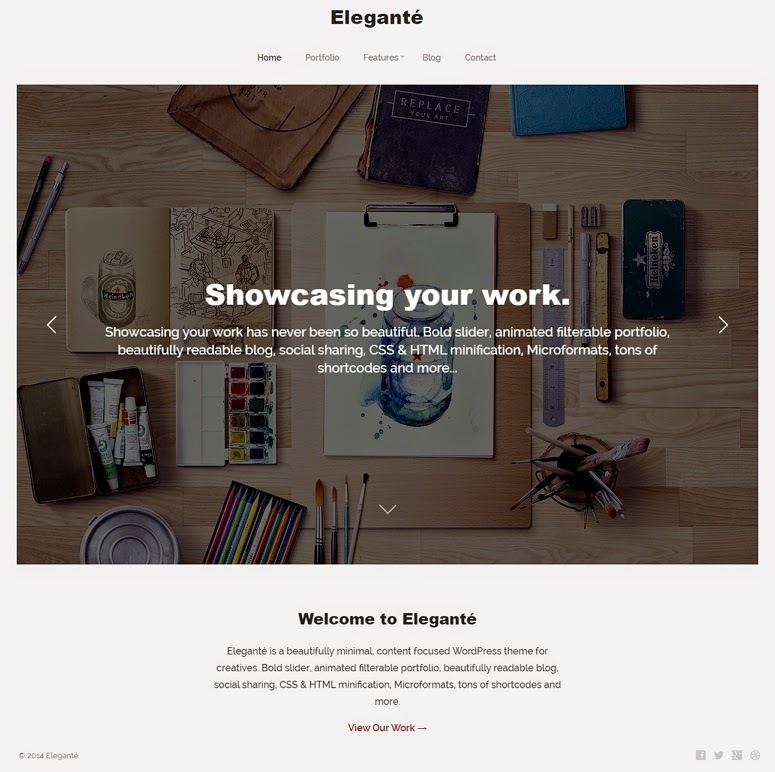 Elegante is a beautifully minimal, content focused, responsive portfolio WordPress theme for creatives. Custom 404 and Search pages. 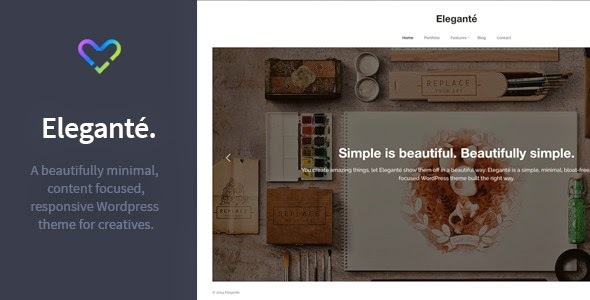 Item Reviewed: Simple and Clean Responsive Portfolio Theme 9 out of 10 based on 10 ratings. 9 user reviews.